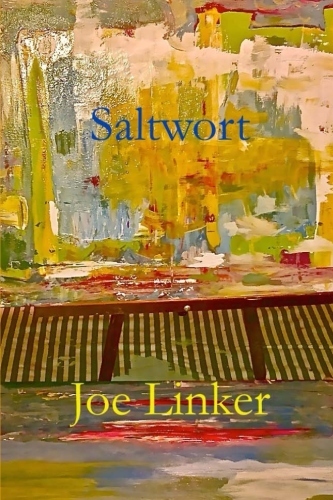 “Saltwort” is selected poetical writings by Joe Linker, author of “Penina’s Letters,” “Coconut Oil,” and “Scamble and Cramble: Two Hep Cats.” Forward by Salvador Persequi. Includes 109 pieces. Winner: Every eligible entry has 1 in 4 chance to win, up to 4 winners. Follow this link for a chance to win a paperback copy of “Saltwort.” https://giveaway.amazon.com/p/739df558f09931bf NO PURCHASE NECESSARY. Promotion Ends the earlier of Feb 20, 2017 11:59 PM PST, or when all prizes are claimed. See Official Rules http://amzn.to/GArules. Nice cover Joe. Feel like designing mine? I have come to a grinding halt. Hope for great success with this new volume! Thanks, Philippa. For the cover, I used a blank template to which I added jpegs of photos that I had added text to. The trim is tricky – some of the photo inevitably gets cropped, and keeping the text aligned requires some guess work. I had not discovered this process when I did the Penina’s Letters cover, or I would have gotten rid of the box around the title. You must keep going! I enjoyed the short story you just put up. Wodehouseian!